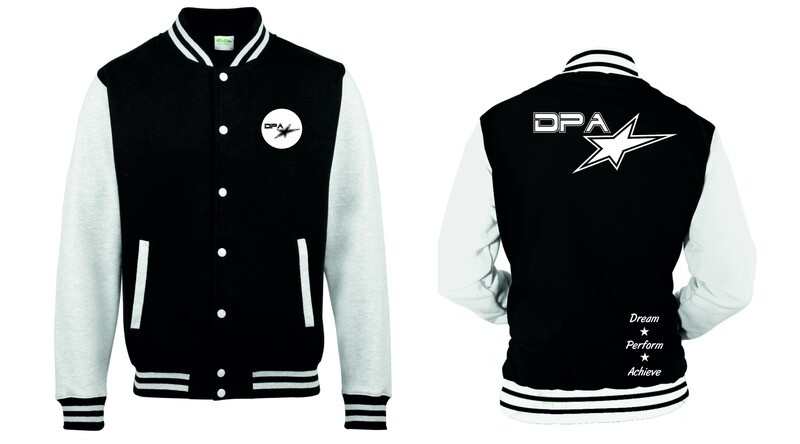 This black and white varsity jacket is printed on the front elft breast, and back with the DPA logo. This jacket has a pressed stud closure, knitted cuffs and waistband stripe details and contrast sleeves. Made of 80% Ringspun Cotton and 20% Polyester this jacket is available in various sizes and with the option of personalisation on the front right breast.